BBC NEWS | Science & Environment | How to divide up the 'science cake'? How to divide up the 'science cake'? A guiding principle in science funding is that projects should be supported on academic merit rather than economic usefulness - the so-called Haldane Principle. Essential to that principle is that scientists rather than ministers should make the decisions. It's a system that's led to the UK producing arguably the highest quality science of any country in the world. But we've been poor at commercially exploiting our undoubted scientific strengths. British scientists pioneered our understanding of electronics, computing and aspects of biotechnology - yet other nations, notably the US, are reaping the rewards. The worry is that our lead in genomics, stem cell research and new biological drugs could go the same way. That's why Lord Drayson is the latest UK science minister to try to tackle this thorny issue. 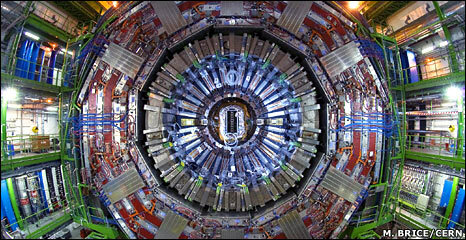 He has said that the government will continue to support basic research and the Haldane Principle. But he's also asked the research community to consider prioritising research funding in relation the country's industrial and economic needs. So is Lord Drayson trying to have his cake and eat it? By asking the scientific community to prioritise research in this way, there will undoubtedly be losers as well as winners. The scientific community has long argued that it's hard if not impossible to predict where the next commercially fruitful scientific innovation is going to come from. What's important, they've always said, is to create the right framework, to fund the best people and best research proposals on academic merit rather than economic potential. In doing so, the UK has developed some of the best universities in the world and has attracted some of the best scientists. Already researchers are saying that too much of research funding is directed and comes with strings attached. If much more money was diverted from this approach towards grand schemes dreamed up in Whitehall then the system that has served the UK so well would be weakened. The Treasury, for its part, has legitimately been asking what the public is getting for the doubling of the science budget over the past 10 years. And it is fair enough for ministers to ask the question: "Can we better exploit the fantastic science that this expenditure produces?". The head of the Medical Research Council (MRC), Professor Sir Leszek Borysiewicz, has been one of the first research leaders to back the call to make strategic choices in our research spending. He believes it is possible to square the circle - to do high-quality basic-research and benefit industry. In fact, he and others in the research community argue that it's impossible to have one without the other. The world has changed since Charles Darwin and other "gentlemen scientists" did their research 200 years ago. Perhaps then it was right to leave them to their gentle musings. But now our science base is big, complex and expensive, funded by the public purse in the UK to the tune of £3.4bn. With India and China realising that their futures also depend on their investment in science, Lord Drayson's argument is that it may well be time for the research community to think about where its research strengths lie, and to prioritise investment in those areas. In truth, this has been happening in practice for decades - with areas in medical research benefiting most. Many working scientists applying for grants often tell me that the Haldane Principle has been an ideal that has become slightly eroded through the years. So the question may well be not so much whether we prioritise our science spending to suit our economic and social priorities - but rather - to what degree do we do this. And of course the other, more important debate, happening outside of the rarefied halls of the science establishment is whether in these difficult economic times the large injection of funding for science can continue. 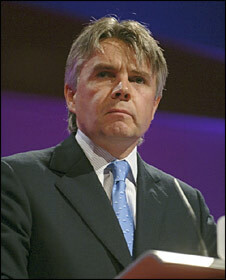 Lord Drayson featured as the special guest this week on BBC Radio 4's Leading Edge programme with Geoff Watts.